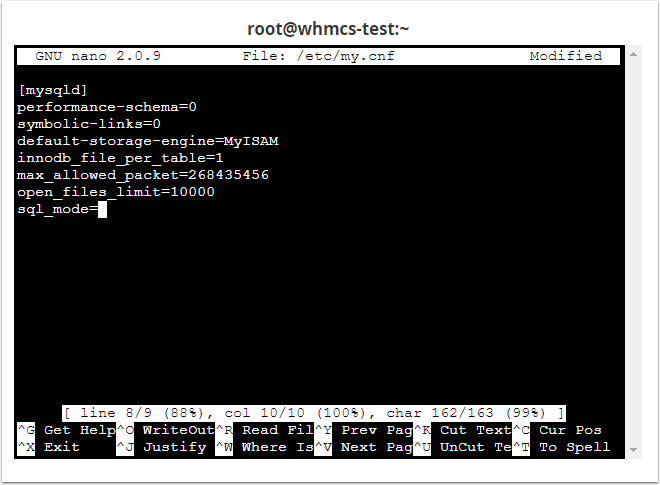 It is important that MySQL Strict Mode is disabled for the proper operation of WHMCS. In this example we will detail how to properly edit the MySQL Configuration on a cPanel server to ensure we are using the proper SQL Mode. Note: In order to make the following changes, you will need full root permissions for the server you are on. If you do not have full root permissions, you will need to contact your web host or sysadmin to request this be done. Using your favorite SSH Client or via the built in Terminal feature of WHM. 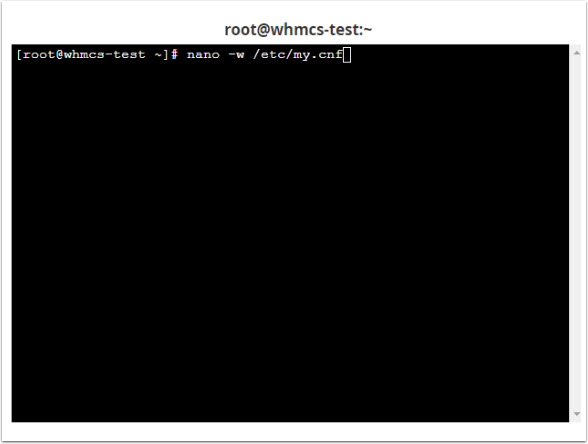 In this case we will be using the Terminal Feature found within WHM v72+. 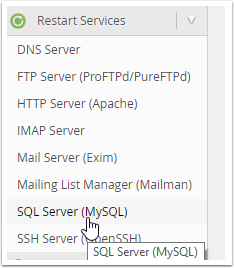 If you are using an older version of WHM/cPanel, the steps are the same via your SSH client. 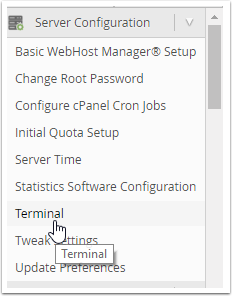 To get started, simply navigate to the Terminal option found under the Server Configuration heading in WHM.